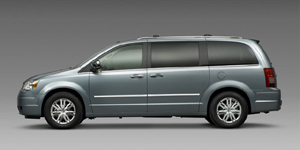 Powered by a 3.5-liter V6, the Chrysler Town & Country offers seating for seven in a versatile interior, including second-row seats that rotate 180 degrees to face a removable table. 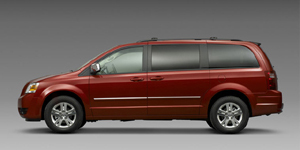 Powered by a choice of V6 engines, the Dodge Grand Caravan is all about transporting people comfortably and safely. Second-row chairs that swivel to the rear are an option. One of the best minivans available, the Honda Odyssey offers great road manners, easy passenger and cargo flexibility, a full array of safety equipment, and good fuel economy. 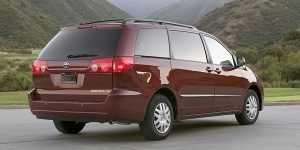 The Toyota Sienna is comfortable, responsive, and roomy. 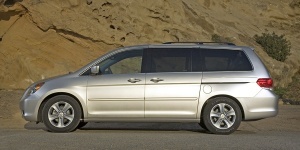 Featuring V6-power with optional AWD, it offers flexible seating options and the capability to tow a camper.